Borders Asia Pacific is helping customers make the connections between genres with a print advertising campaign, “One Thing Leads to Another”. 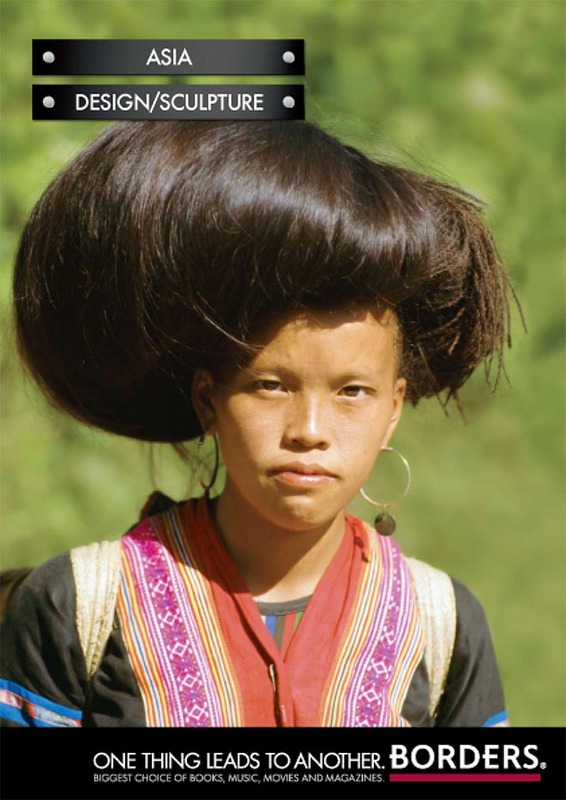 Asia is connected with design and sculpture in an impressive hairdo. 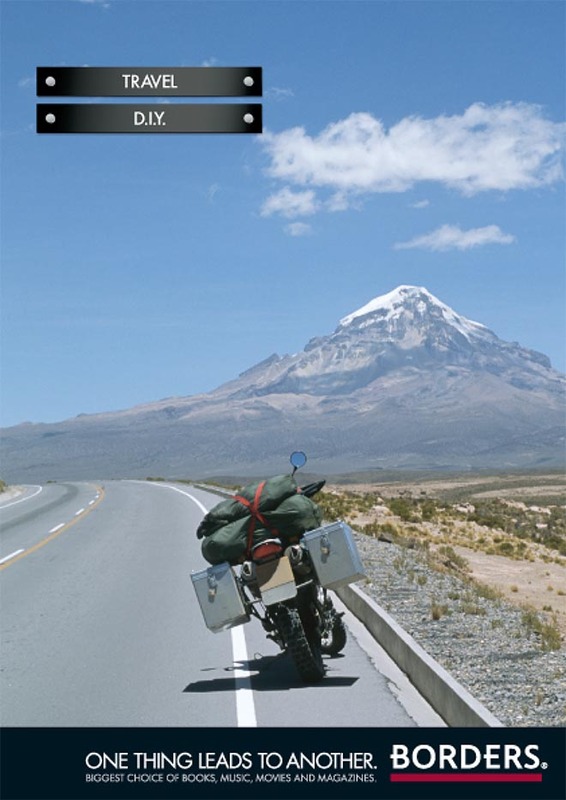 Travel is connected with D.I.Y. on the back of a motorbike. 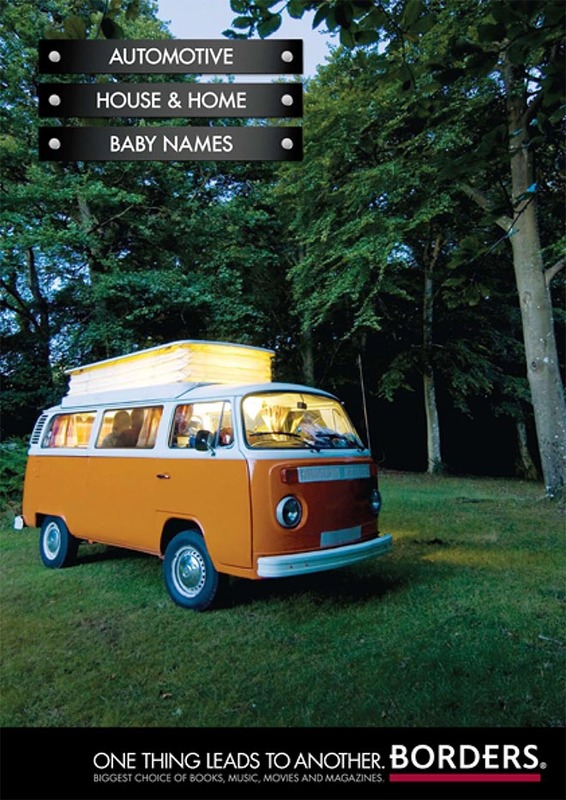 Automotive is connected with House and Home and Baby Names in the back of a Volkswagen Kombi. The campaign was developed at AJF Partnership, Melbourne by creative directors Adam Francis and Andrew Foote, with art director George Freckleton and copywriter Glenn Dalton, account managers Jayne Brady, Karen Bambrick and Jaime Morgan.